Our 32mm x 20mm x 1.5mm Neodymium Ring has a diameter of 32mm, a hole diameter of 20mm and a thickness of 1.5mm. These Neodymium rings are N45 Grade being axially magnetised (Through the thickness) and are nickel plated. 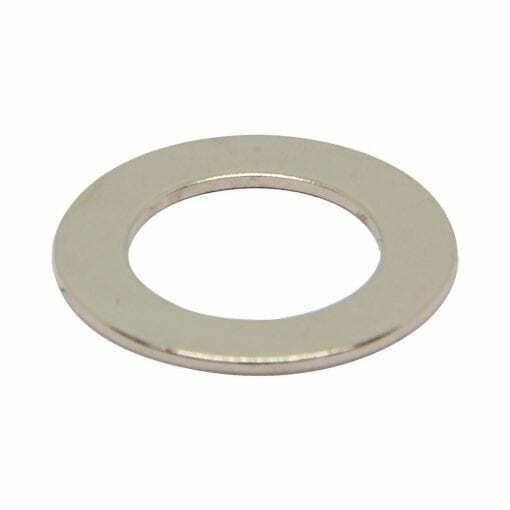 Countersunk Neodymium Rings are also available.